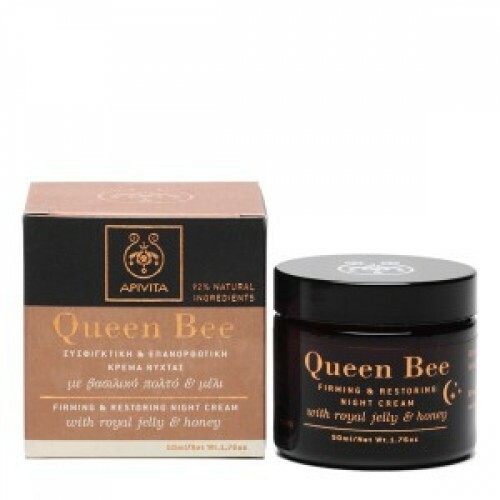 Greek royal jelly – encapsulated in liposomes – and the natural lipid/amino acid penetrate in the deepest layers of the skin with a firming and restoring effect. 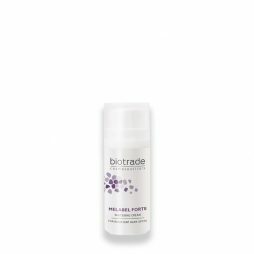 Salicylic acid exfoliates gently and has a smoothing effect on the skin throughout the night. 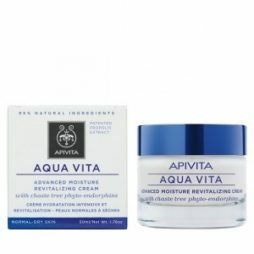 Honey, shea butter, olive oils and panthenol offer in-depth hydration, soften the skin and minimizing the appearance of lines and wrinkles. 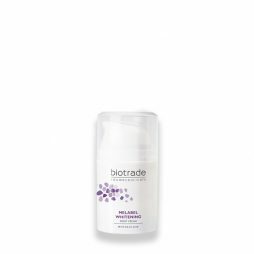 Rice bran oil and vitamins A, C and E provide antioxidant protection. Myrrh essential oil regenerates and invigorates mature skin and mood.